Most women in Venice lived in purdah-style seclusion until the 18th century—except for prostitutes. In 1358, the Maggior Consiglio declared the world's oldest profession was 'absolutely indispensable', and in 1403 the city set up a brothel near the Rialto, which remained Venice's red light zone for centuries. It was designed, some say, to counter Venice's perceived rise in homosexuality and a declining rate of marriages and births. In the lusty 16th-century dawn of tourism, Venice had 11,654 registered tax-paying prostitutes, dressed in red and yellow ‘like tulips’ (a 1543 document on what they were allowed to wear is in the Archivo di Stato). There was even a guidebook, listing addresses and prices. Among these thousands were Venice's famous courtesans; their wit, education and sophistication were much sought after. Aretino wrote the Capricciosi ragionamenti in which a mother teaches her daughter how to make it big as a courtesan. 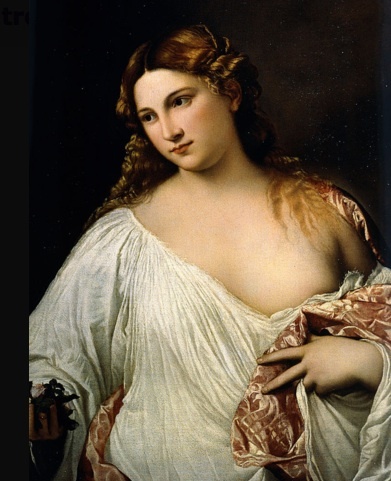 Titian and Palma il Vecchio popularized half length, semi-clad portraits of beautiful women, inspired by the Renaissance love poetry published in Venice and often using courtesans as models. The Elizabethan traveller and writer and trail blazer of the Grand Tour, Thomas Coryat, greatly admired a courtesan named Maria Emiliana for her intelligence and musicianship, only to be thrown out of her chamber when he tried to challenge her profession. His time in Venice wasn't wasted, however: besides leaving an invaluable record of early 17th-century life and customs there in his Crudities, he discovered the joys of the fork and brought it back to England. One courtesan was as celebrated for her poetry as for her charms: Veronica Franco (1546–91) who repented in later life and founded a home for women who wanted to follow suit at Santa Maria del Soccorso. Santa Maria delle Penitenti was another option, for the five-year rehab programme at the Ricovero Penitenti.